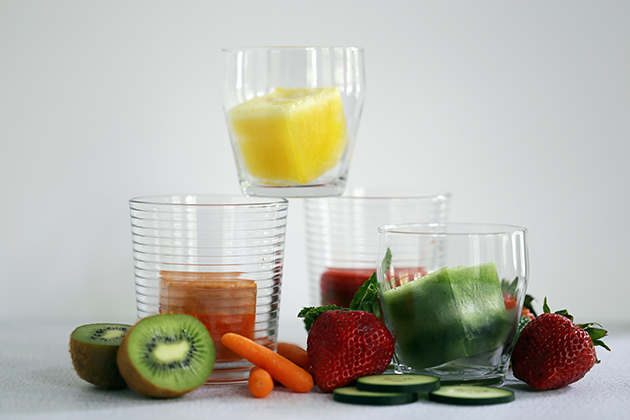 If there is one thing I LOVE, it’s a cocktail or mocktail made with fresh juice and no added sugar. 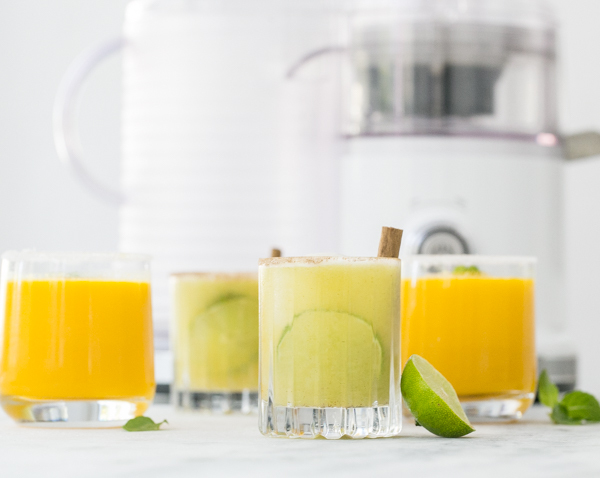 By making a cocktail with freshly squeezed juice, you can add a little bit of wholesomeness to your next at-home happy hour. 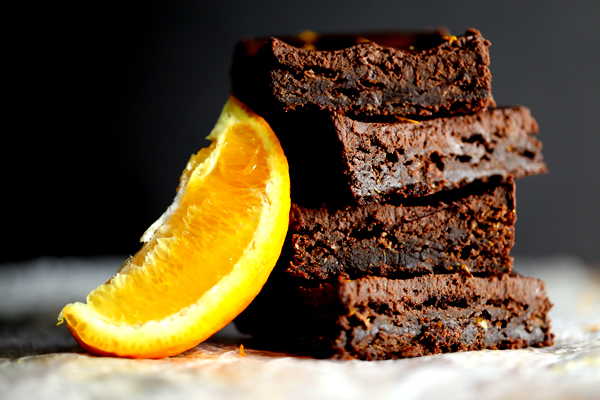 With my new KitchenAid® Easy Clean Juicer, I’m able to use the orange juice pulp as egg replacement in baked goods, specifically, these decadent Chocolate Orange Brownies. We’ve tried infusing our water before with whole fruit pieces previously but the amount of flavor it imparts is minimal. My thought was if we used cubes of actual juice as the cubes melted the flavor would be more intense. And I was right!